Revitalise your skin through the night with Caudalie VineActiv Overnight Detox Oil, a dry oil that works with your skin during its natural, overnight renewal process. Helping to detoxify, refresh and smoothen your skin, the 100% natural concentrate combines a cocktail of five essential oils and three 3 plant oils to purify, nourish and protect your skin; Lavender, White Sandalwood and Carrot essential oils calm, fight irritation and redness and detoxify; Rose Musc and Sweet Almond plant oils prevent wrinkles and boost radiance. 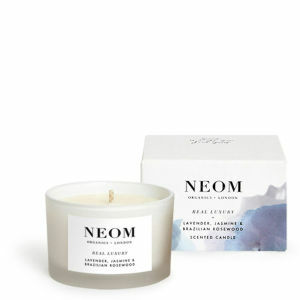 Melting effortlessly in with no greasy feeling, the oil utilises antioxidant-rich Grapeseed Oil to nourish and repair whilst protecting against pollution and free radical attacks. Skin feels detoxified, revitalised and comfortable come morning. Apply 6 drops in the evening, either alone or before your moisturiser. Avoid the area around the eyes. Caprylic/Capric Triglyceride, Vitis Vinifera (Grape) Seed Oil, Prunus Amygdalus Dulcis (Sweet Almond) Oil*, Rosa Canina Fruit Oil*, Citrus Aurantium Amara (Bitter Orange) Leaf/Twig Oil*, Daucus Carota Sativa (Carrot) Seed Oil, Santalum Album (Sandalwood) Oil, Helianthus Annuus (Sunflower) Seed Oil, Citrus Aurantium Amara (Bitter Orange) Flower Oil*, Lavandula Angustifolia (Lavender) Oil*, Rosmarinus Officinalis (Rosemary) Leaf Extract, Citral, Limonene, Geraniol, Linalool, Farnesol (07-49-05). Receive a FREE Caudalie Hydration Essentials when you spend £50. Complimentary gift will be awarded at the basket. Offer valid for a limited time only, while stocks last. 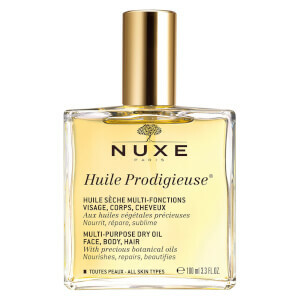 Receive a FREE NUXE Anti-Ageing Pouch (worth £27.50) when you spend £35. Complimentary gift will be awarded at the basket. Offer valid for a limited time only, while stocks last. I LOVE this oil. Within the first 7 days I saw a difference. I noticed my skin looked clear and more glowy. For me, I notice the mild pigmentation seems faded. I have been using this oil for over 6 months and gave it a break in the summer, now using it again. I really enjoy the scent too, the scent was one of the things that drew me to try it when I got a sample. I'm always going to have a bottle of this oil. I'm due to buy my second one soon. Love this product, saw a difference within a week, will definitely add this product to my daily regime. The texture is lush and the smell isn't too strong. 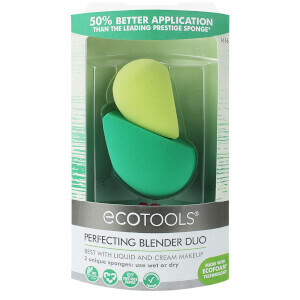 Sinks right in and doesn't leave a greasy residue even on my combination to oily skin. I use it alone on my skin couple nights a week and call it a day, but drier skins might need to follow with a moisturizer. Skin is clear and radiant in the morning - didn't break me out. Highly recommended! 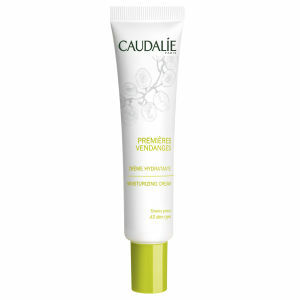 Caudalie vineactiv real very easy to use.